The college football season starts today and I am going to power rank who I believe are the top 5 teams in teams in the country. 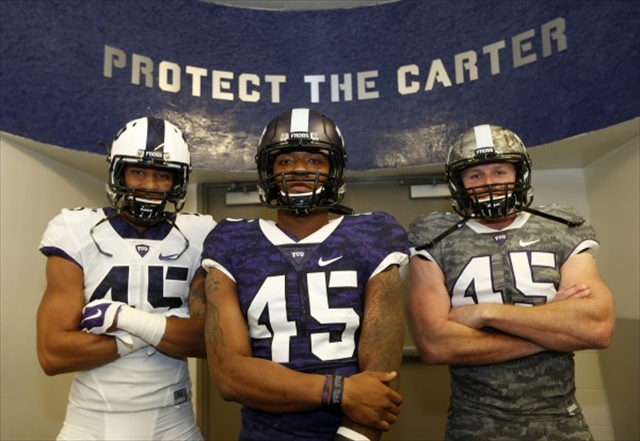 This year TCU will be the best team in the country. They have a loaded roster and they will be playing with a massive chip on their shoulder after being left out of the College Football Playoff. They are returning 10 offensive starters from one of the most prolific offensive attacks in the country. Not to mention one of those starters is a preseason Heisman favorite, QB Trevone Boykin. TCU’s schedule matched up pretty nice for them and on November 27 they will be awaiting the Baylor Bears to determine who the Big 12’s “One True Champion” is. As much as this hurts me to say it, the Ohio State Buckeyes are fully loaded and ready to defend their national title. Urban Meyer will have his boys ready to go and blow through the Big 10. Ezekiel Elliot will be a beast as usual and will shred almost every Big 10 defense regardless of who the quarterback will be. I will not be suprised if the Buckeyes repeat as champions. Yes I know what you all must be thinking, how will they replace the greatest college quarterback ever? The answer is actually pretty simple, run the football. When you have a young freight train as a running back you should be pounding the rock. 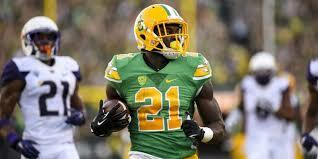 Royce Freeman in my opinion is the best back in the country and will be a first round draft pick in the NFL. Also let’s just remember he was a true freshman last year. The Ducks receiving corps is full of young superstars and having Braylon Addison return from injury is a huge bonus. On the other side of the football DeForest Buckner will be anchoring their defensive line. No one will be calling this team soft again. Now let’s get to the quarterback problem. Eastern Washington Transfer Vernon Adams is no Marcus Mariota, but he’s pretty darn close. Adams was the Mariota of Division 1 AA. Most people do not know this young man’s name, but trust me at the end of the season everyone will know who Vernon Adams Jr is. 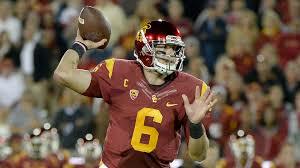 Cody Kessler might be the most polished quarterback in the country. Adoree’ Jackson is an explosive offensive weapon in all of college football. It seemed like USC would never rebound from the major sanctions, but here they are contending for a Pac 12 title. The only thing that is not positive for USC is that they have to go through Eugene Oregon and the Autzen Zoo before they can be known as the kings of the West Coast. Sparty used to be known as the little brothers to Michigan, but not anymore. Michigan State is a power house with one of the best defenses in the Nation. 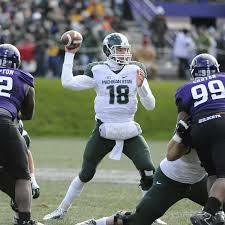 Connor Cook will probably the first quarterback taken in the NFL draft and they are loaded with NFL talent. If Michigan State wants to make the College Football Playoff, they will have to earn it because they have Oregon and Ohio State on their schedule.